Barefoot at Broken Head is the most stunning and sophisticated beach wedding venue in Australia. Set in a lush tropical rainforest with direct access to Broken Head Beach, this venue boasts a private and tranquil setting for up to 70 people. 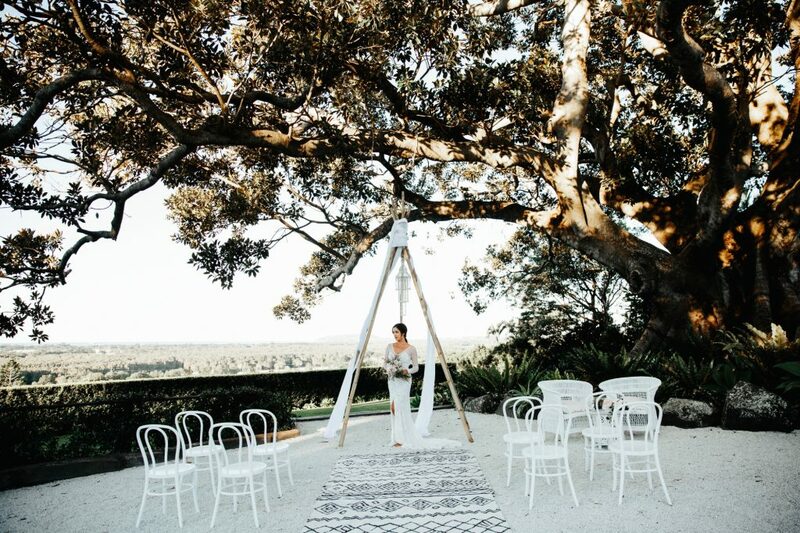 Renowned as one of the most spectacular venues to host an Australian beach wedding, Barefoot at Broken Head invites a ceremony with magical seaside vistas stretching up and down Byron’s stunning coast and a reception in the privacy of your own property. Celebrate with exclusive access to the property and relax in luxury accommodation, sleeping up to 14 guests. This lush beach house is located just a short walk through a winding bush path and sand dunes to a world famous surf break. With eucalypts crowded thick over the hills, and waves rolling in from the famous rocky outcrop of Broken Head, you’ll find yourself in a state of pure harmony with nature. Your guests will see iconic Byron Bay Lighthouse, the most easterly point of Australia, at the end of the single stretch of sand to the North. Our guests are assured a wedding which encompasses a sense of utmost seclusion and exclusivity. After your ceremony, invite your guests on a short stroll back to the minimal masterpiece that is Barefoot at Broken Head. 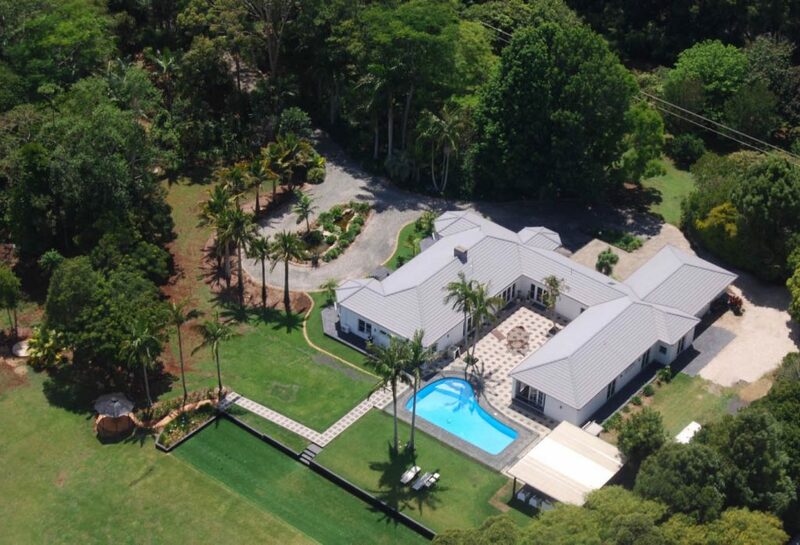 The impressive block is home to three towering pine trees, around which the property is designed. There are five beautifully appointed bedrooms in a series of open Balinese-style buildings, each connected by decks and walkways. Perfect to house your whole family, enjoy ample space with huge common living areas as well as total privacy when you need an escape. Note: For up to 35 guests you may choose the ‘Simple Wedding Plan’ and coordinate the wedding yourself with the house manager, Frances (included in reception fee). Byron Bay Weddings will arrange catering starting at $85 per head as well as labour for staff. Catering equipment: There is a professional kitchen on-site however catering equipment is to be hired in. Marquee: For weddings hosting 26-70 guests marquee hire is included in the cost. Inclusive in cost: Standing bar tables and stool, wet weather sail over back deck (when weather requires, wheelie bin hire and rubbish removal, beach ceremony permit, Public Liability Insurance for reception and ceremony, commercial drinks fridge, bar, arbour to frame the vows, signing table and chairs, bench seating for ceremony on the beach and gate attendant for arrival and departure greeting and assistance. Barefoot at Broken Head is zoned residential, therefore curfews must be applied. Parking: Up to 3 car spaces available. Please contact venue directly for accommodation pricing. 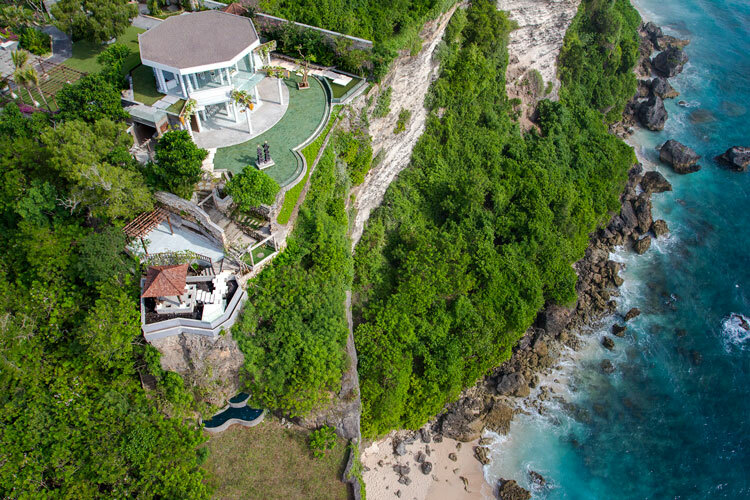 Located on a cliff top above the world famous Uluwatu surf break. Standing forty-six meters above sea level and surrounded by a lush tropical landscape, Kamaya Bali is one of very few wedding venues in Uluwatu that faces west, encapsulating the magical sun set in the Indian Ocean.